This winter we have designed and made two new pieces from English rippled sycamore and hand adzed English lime, exclusively for Make Hauser and Wirth and their next exhibition, ‘Levelling Traditions’. The exhibition explores themes of rural life and traditions, the land, the domestic and the intimate. 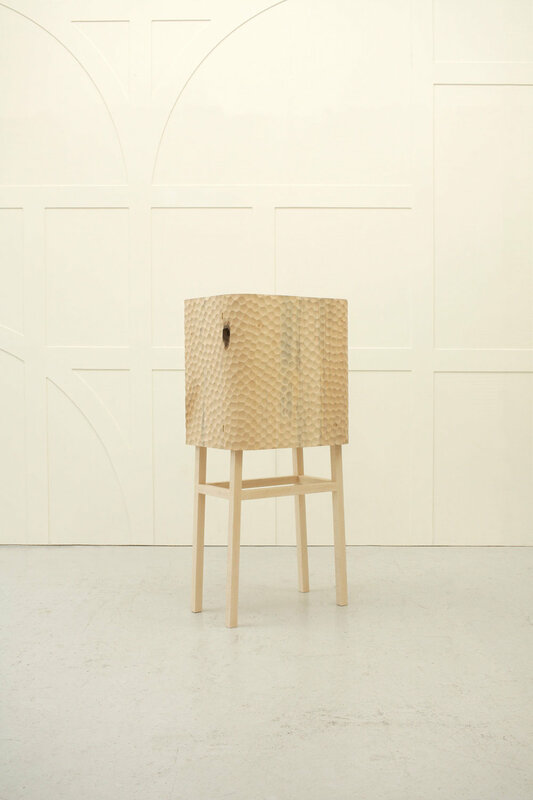 In response, we have created the new Sycamore and Lime Cabinet and Table; new pieces imagined for a modern rural home, combining clean lines, simple forms, subtle tapers and deep texture. English sycamore and lime are almost neutral in colour, with vastly different material properties which are explored through the form of each piece. Sycamore is a strong and lightweight wood and makes beautiful crisp joints and in each of the pieces, provides a structural frame. Lime carves beautifully and allows for a rich, hand hewn texture. Each dish shape, cut with a razor sharp chisel in a single pass, to a pattern composed by hand and eye in the moment at the work bench. See ‘Levelling Traditions’ from 1st December - 2nd February, Bruton High Street, Somerset. Alternatively, commission your own Sycamore and Lime cabinet or table here.